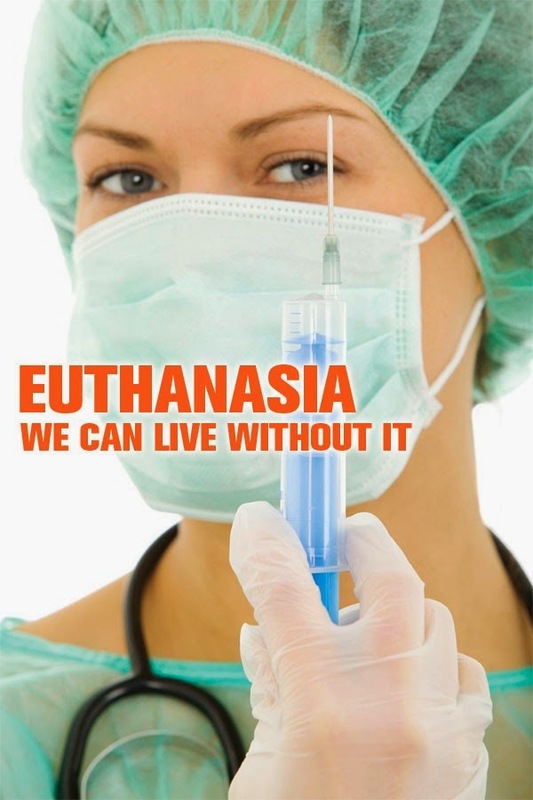 This article was published by the Physicians Alliance Against Euthanasia. One of the most powerful reasons why people oppose euthanasia concerns the enormous significance of taking a human life. Doctors have historically made a solemn and specific professional commitment to respect the lives of those entrusted to them. But the Hippocratic Oath is in fact somewhat redundant, because the universal code of civilized human conduct, from the beginning of history — written and oral — is founded upon a general prohibition against killing. Whether in the religious formulation, “Thou shalt not kill” or in the first written codes of Mesopotamia (Hammurabi) 4000 years ago, this theme serves as a constant backdrop to the evolution of human social behaviour, culminating in our modern concept of physical security as an essential Human Right. Clearly then, in the make-up of our highly social species there are natural propensities towards respecting, caring, helping and protecting one another, without which we could never have survived the infancy of our race. But there is also another side to this coin: it also seems that killing comes easily to us, and in fact, much too easily. In our biological origins, we are hunters and warriors. The human separation from other animals is often associated with our tool-making capacity, but our first– and most perfected – tools have always been weapons. In the private sphere, it has proven very difficult to prevent human beings from killing one another, despite recourse to the most extreme forms of punishment. In the public realm, history – not to mention current events – is filled with the proof of a human willingness to indulge in the very worst excesses of aggression and repression: killing on a huge scale to defeat the enemy in war; and (in authoritarian regimes) killing on an even grander scale to eliminate dissent. Moreover, it is demonstrably impossible for such horrors to exist without the collusion and willing cooperation of perfectly ordinary men and women: Horror is thus revealed to be perfectly ordinary. This is the inescapable human moral condition, long recognized by the wisest among us: that good and evil, love and hatred, assistance and violence, compassion and mayhem, are but a knife’s edge apart; coexistent in every human breast ; capable of expression at almost any time. And, the only rampart which exists — between this and that — (if we exclude the divine), is the exercise of rational will, personal and collective, which allows individuals and groups to deliberately seek out the conditions for peaceful life in society. Such has always been the sub-text beneath the evolution of what we call “civilization”. People were asked to interiorize and express certain essential human characteristics while sternly repressing others. Every political and religious force was brought to bear. All complexity was avoided with a most clear, simple creed. And despite all disappointments, real progress has indeed been made: Very few people today subscribe to the old subtlety of discourse concerning the rightness of privately killing this or that rival or neighbour ; the days when the Roman Paterfamilias could exercise complete and capricious capital authority over all legal non-persons ( children and slaves ) under his roof — are now long gone; and the infinitely varied informal killings current in our primitive prehistory are (if we except the inexpungable criminal element), even farther back in our historical mirror. All this is the result of sober thought based on regret for the past and hope for the future; the result of choice; the result of ever-renewed conviction and tenacity; the result of fixed intent. And after thousands of generations of careful repetition we truly had begun to accept that killing is wrong; to control our own passions and interests; to have confidence, even, that these shared values, defended by the force of law, would protect us, also, from the passions and interests of others. And then there was euthanasia. Euthanasia in Quebec: Theory meets reality. This article was published by the Physicians Alliance Against Euthanasia on December 21, 2017. Prior to legalisation of “medical aid in dying” (active euthanasia), from the comfort of an abstract theoretical detachment, 48 % of doctors in the city of Laval QC said they would be willing to intentionally cause the death of a patient. Another third diplomatically gave “conditional responses”. In other words, even among the people sufficiently politicised to respond at that time, fewer than half would be willing to perform euthanasia under the present criteria. And that was before the prospect became real. “What we see is that providing medical aid in dying is more complex than we thought”, says Marie-Ève Bouthillier, director of the centre for ethics of CISSS de Laval and coauthor of a study of 61 Laval doctors who received 113 requests for euthanasia. Obviously. And it is a wonder that the ruling class managed to ignore that fact for so long. Once the Act respecting end-of-life care came into effect, 77% of the doctors who received real requests from real patients discovered that complexity, and concluded that they could not stomach the thought of killing their patients. And on the other hand, we have a political fantasy that doctors (being told euthanasia has been redefined as a benign “medical treatment”) will suddenly be at ease with killing people. Dr. Bouthillier even expands on this wishful thinking by postulating initiatives to make the whole problem go away: “We need to provide training to make this practice more acceptable, to integrate it into doctors’ clinical work.” So what now? When the study authors realize they cannot just “re-educate” people into this practice, what then? Coercion? Beyond the absurdity, there is a sinister dimension to this research and the agenda which is motivating it. The only justification legally offered for a refusal to participate is “right of conscience”. But only 14 % of the doctors interviewed for this study were considered to have real moral objections. Therefore, the study seems to conclude, the others are refusing to kill people for no good reason. Contrary to what some would have us believe, moral conscience is not the unique purview of established religion or traditional moral codes: it is universal. It is one of the many — and one of the most important – things that make us human. What is the “moral burden” invoked by 59% of respondents, otherwise at ease with accompanying dying patients, if not an innate repugnance to the act of killing someone? The same repugnance at a societal level explains the “fear of stigmatization” mentioned by 27%. And the “lack of expertise” cited by 36% may well conceal similar reasons: it certainly has nothing to do with knowing how to give an injection. What is the extreme emergency that would require us to convince – or coerce – all doctors to kill people on request? Do we really want doctors who no longer listen to their conscience, however that is defined? Do we really aspire to having a medical profession that cheerfully and unquestioningly carries out whatever political fashion may demand? Is this the best model the profession can offer to future generations? It seems logical to us that the fewer doctors desensitized to killing, and the more who exercise their prudential moral judgment before jumping on the bandwagon, the better for all concerned. Vermont assisted suicide report provides scant information. 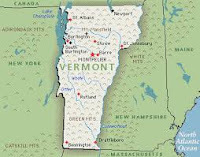 The Vermont Department of Health recently released the (May 31, 2013 to June 30, 2017) assisted suicide report. 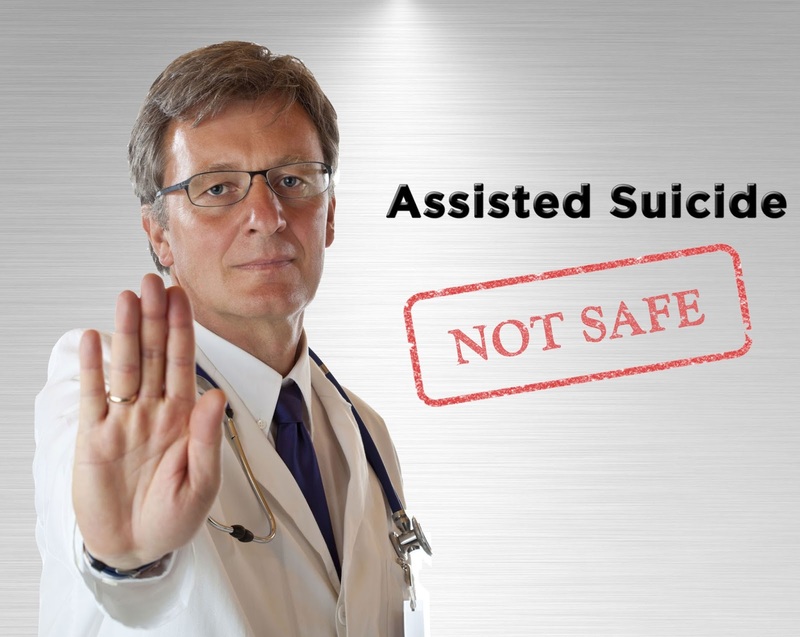 The report provides very little information about the actual conditions or reasons related to the assisted suicide deaths of Vermont citizens. Unknown cause means, that the Vermont Department of Health has no idea whether the person died by assisted suicide or natural death. ▪ 83% of cases are Cancer (43 total cases); ▪ 14% of cases are ALS (7 total cases); and ▪ 3% are other causes. In Oregon other causes includes diabetes. In 48 out of 52 prescriptions the death certificate is on file with the Vital Records’ Office. The American College of Physicians recently passed a position opposing assisted suicide. A resolution opposing assisted suicide is currently being debated in Congress. Legalizing assisted suicide gives doctors, the right in law, to decide whether or not your life is worth living. Doctors decide who receive the lethal prescription and the doctor who prescribes the lethal drugs self-reports the death to the Vermont Department of Health. 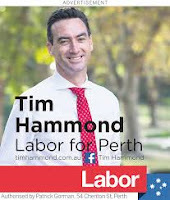 Federal Member for Perth Tim Hammond spoke out against assisted suicide, pointing to the dangers it could lead to and the need for more comprehensive palliative care. Hammond had to watch his father die of a long-running illness when he was only 54, as well as his sister-in-law, who passed away from an incurable cancer at the age of 42. He also worked as a lawyer on behalf on individuals with Mesothelioma. Having contracted the cancer from working with deadly asbestos dust, his clients usually only had around nine months to live. He worked to bring retribution to these individuals and their families. There is a world of difference between a doctor not taking active steps to preserve the life of someone at the end stages of their disease and unequivocally ending another person’s life, which is what this legislation contemplates. … Perhaps the most troubling thing about the prospect of lawful euthanasia is that we don’t know where it will end up… I have a terrible feeling that once we start up this ride, we won’t be able to get off it. He also states explicitly that he would have opposed the Victorian legislation. It is a shame that the legislators in Victoria did not share Hammond’s view. However, it is encouraging to see an Australian politician that is willing to take a stand against assisted suicide, and protect the lives of vulnerable individuals. Disabled lives are worth living. Euthanasia implies otherwise. 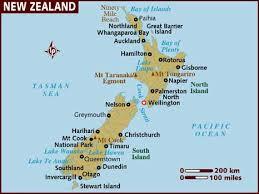 The New Zealand government is now officially debating a bill to legalize euthanasia. Today Stuff News published an excellent article by Claire Freeman, who writes from the disability perpective. However, the bill contains another clause which states that anyone with a grievous and irremediable medical condition will also qualify for euthanasia. This is a very important aspect but seems to be often omitted. This "grievous and irremediable" definition covers many people, especially those with severe disabilities, and this is where my concern lies. Freeman wrote about a time in her life when she was suicidal. As someone who has attempted suicide more than once, I know at first-hand how it feels like to be in a state where death seems a legitimate and desired option. 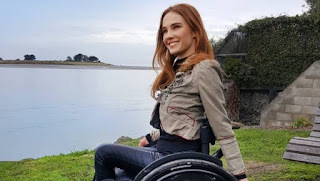 I blamed my condition - tetraplegia - for my poor mental health at the time, but in hindsight it was my misguided coping mechanisms that were the problem, along with a very stressful and unsupported lifestyle and work environment. I was driven to explore the option of euthanasia in other countries but the cost was prohibitive. 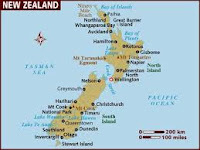 Had that option been available in New Zealand, I would very likely have qualified because of the severity of my injury. At that time, I perceived that my life was not worth living, but that perception changed. Sign the Euthanasia Prevention Coalition petition: Tell CBC to stop producing one-sided propaganda programs on assisted death (Link). CBC is once again promoting euthanasia. CBC radio's The Current aired the propaganda program "Will Pegg will die an assisted death. He couldn't feel more alive" on December 11 and CBC News aired the propaganda program "Parkinson's patient forced to battle bureaucracy around assisted death" on December 12. 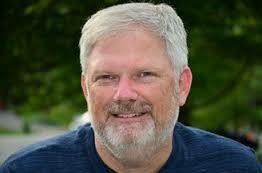 The CBC radio program focuses on Will Pegg, who has bone cancer. This program normalizes euthanasia and details the assisted death process. 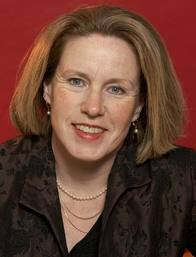 The CBC News program focuses on Nancy Vickers, who has Parkinson's. This television mini documentary is normalizing and promoting the extension of euthanasia to people who are not terminally ill and also airs the assisted death process. The CBC Corporation, a Canadian federal Crown corporation, receives more than $1 billion in federal government funding. 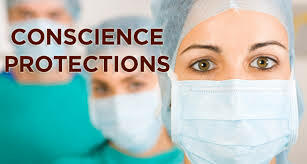 The Euthanasia Prevention Coalition (EPC) is concerned about the suicide contagion effect related to these recent CBC propaganda programs and their one-sided promotion of euthanasia. These CBC media programs have broken nearly all of these guidelines. Airing The Euthanasia Deception documentary will enable CBC to offer both sides of the debate. Kevin Dunn, Director of The Euthanasia Deception and Fatal Flaws, responded to the CBC News program with this article: CBC Cameras roll as doctor gives lethal injection to patient. Sign the petition: Tell CBC to stop producing one-sided propaganda programs on assisted death (Link). This article was published on the Fatal Flaws Film website on December 13, 2017. Sign the Euthanasia Prevention Coalition petition to Tell CBC to stop producing one-sided propaganda programs on assisted death (Link). Last night, the CBC (Canada’s public broadcaster) aired a mini-doc about an assisted suicide party. It ended with (audio of) the doctor giving patient Nancy Vickers a lethal injection under the provisions of Canada’s “Medical Aid in Dying law”. Nancy had Parkinson’s disease. Two years ago this doctor could have been charged with homicide under Canada’s criminal code. Today, he is lauded by the media as a trailblazer. Link: Fatal Flaws Film: Legalizing Assisted Death (Early Preview). Please understand I have incredible empathy for what Nancy was going through. Parkinson’s is a horrible, debilitating disease. I can understand why she would become so hopeless about her condition, so fearful of what was to come – that she would want to access Canada’s new law which allows for an assisted death under certain conditions. I get it. I truly do. A very dear family friend recently passed away (naturally) from a Parkinson’s related disease. It was heartbreaking to see her deteriorate and struggle as she did. I loved her dearly. But this post is not about Nancy’s (so-called) right to an assisted death. Nor is it about my friend who died of her disease naturally. It is not about demonizing doctors – or anyone for that matter. It is, however, about the underlying message that these stories send to the rest of society. The headline reads ‘My life these days is hell on Earth and I don’t want to be here anymore’. With all due respect and compassion for how she felt at the time, it is the use of this headline scares the hell out of me. And it should scare all of us. Why? Each of us probably knows someone who has uttered similar words. Perhaps we have had thought them ourselves. We can talk about safeguards and due criteria all we want, however the underlying motive is clear. Stories like this are about ‘normalizing’ the idea of having someone end our lives when we are facing significant suffering, fear, burden or depression. Or perhaps we become just ‘tired of life’. Am I crazy for suggesting such things? Look at the Completed Life bill in the Netherlands. This is about a radical culture shift; one that society seems so eager to embrace. Dr. Watkins (the doctor who gave the lethal injection) says about the law, “This is very progressive for us as a country.” Yet progressive by definition means ‘happening in stages’. We have to ask ourselves what these next stages might be – especially at a time when the current law is being challenged in radical ways. Take for example the pressure to remove “reasonably foreseeable (death)” from the language of the law. And the request to extend the law to “mature minors” and those with psychological conditions. Are these indeed ‘progressive’ moves? 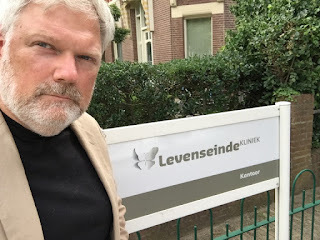 How commonplace will euthanasia clinics, like the one pictured here in The Netherlands, be in North America in the near future? Will we be able to stop abuse and coercion in a society where healthcare costs are spiraling out of control? Which of us will soon become ‘disposable’ when our quality of life is deemed unworthy of support? These are not radical considerations. These are serious questions being asked by disability rights groups and advocacy groups in America and around the world. Not many realize there is a silent majority actively opposing such laws and who have been relatively successful in holding back a tsunami of legislation. The CBC article quotes the doctor as saying to the patient “You know, of course, you can change your mind at any time, It doesn’t affect any of the medical care you get.” An appropriate measure given the irreversible decision about to be made. Still, I wonder how these laws are going to affect the medical care and research available to us in the future, when assisted death becomes the ‘viable’ option. Already we’ve seen cases where insurance companies will not pay for life sustaining medication while suggesting they will indeed pay for an assisted death. That’s why we are making this film. To consider what is happening in countries like The Netherlands, Belgium and USA – whose laws have been in place for some 15-20 years. There is no doubt in my mind that doctors like the one in this story – in fact the entire pro-euthanasia lobby – truly believe they are doing ‘good’ and providing a ‘valuable’ service to those wishing to access assisted dying laws. I disagree with their logic but would never deny their perceived ‘good’ intentions. Please consider helping us fund this film. In all three cases a person would die from their underlying medical condition - of natural causes. With respect to the “safeguards”, it is already clear that they do not work. First, let us recall that these safeguards are based on a biased foundation: that of self-reporting. In fact, the physician who evaluates the patient and makes the diagnosis is also the one who causes the patient’s death, and the one who then completes the declaration form to explain to the oversight commission the conformity of his act. Yet, despite this conflict-of-interest situation which works in favour of the people who administer the deadly injection, the Commission sur les soins de fin de vie (CSFV), in charge of evaluating the application of the law, concluded that there were 21 cases of abuse during the first year and then 31 cases of abuse in the following year. Needless to say, so many infringements put vulnerable people at great risk. However, the most dramatic failure came from the College of Physicians, which judged that “no case justified a punitive intervention.” In doing so, it opened the door wide to repeated violations of the law, justifying their impunity. 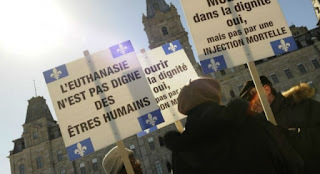 Meanwhile, these two years of euthanasia in Quebec have turned the exceptional measure into a promotable solution: safeguards became barriers to access, and the strict criteria – intended to protect vulnerable people – became cruel and discriminatory. Unsurprisingly, we are also seeing strong pressure to expand access, particularly to people who are not at the end of life, who are unable or too young to consent, or who suffer from psychiatric disorders. By the same token, the tendency that is taking shape before our eyes is transforming euthanasia, originally sold as a personal choice – which nevertheless involves the whole of society – into a choice… for another person. In conclusion, the facts show that, for the past two years, the situation in Quebec is falling increasingly out of control. Moreover, there has been no effective follow-up on access to palliative care as priority is given only to euthanasia. Thus, for the second year in a row, the Commission mentioned in its report that the “variability of reported information with respect to the number of individuals at the end-of-life who received palliative care does not allow for the processing of these data at this time” (CSFV Report 3.2.1). he story of Mya DeRyan is not just about gaining a second chance at life; it is also a warning to Canadians, now that euthanasia is legal, that some people with a misdiagnosis will die by lethal injection (euthanasia). On Oct. 30, DeRyan set the plan into motion. She left behind a book with pertinent information for her son and on top of it, a note that simply read "My body's in pain. My heart is full. It's time. I love you." But...somebody saw her take the leap overboard and the search was on almost immediately. "Suddenly I hear an alarm and the announcement of man overboard, and all of the sudden the moment changed," she said. DeRyan spent about a week in hospital being treated for hypothermia, but that's when the next incredible part of her story materialized. Doctors gave her news that would change her life again – DeRyan's terminal diagnosis was wrong. She wasn't dying at all. "I think it was that moment, I was still in the hospital realizing there's got to be a plan, and there's got to be an intention," she said. "I feel like it's a new body. Any little malady I had is absolutely gone." With a new lease on life, DeRyan said time with her son is her first priority. Based on her wrong diagnosis, DeRyan would have qualified for euthanasia. If it had been legal in Canada in October 2016, she might have died by lethal injection (euthanasia). 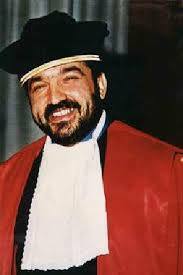 In April 2013, Pietro D’Amico, a 62-year-old magistrate from Calabria Italy, died by assisted suicide at a Swiss suicide clinic. His autopsy found that he had a wrong diagnosis. The fact is that legalizing euthanasia and assisted suicide directly threatens the lives of people who have received a misdiagnosis. Medical error is the third leading cause of death in the United States. 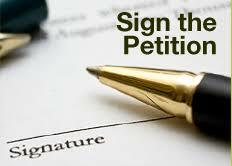 Death by lethal euthanasia or assisted suicide can and will occur to people who have received a wrong diagnosis. Another UK hospital will not provide baby with life-sustaining treatment nor transfer baby to a hospital that will. Readers here may recall the infamous Charlie Gard case earlier this year. Charlie was a terminally ill baby with a progressive and terminal genetic disease. Charlie’s parents wanted to take their boy to a specialist in the US, but was refused permission by the hospital, later supported by a judge. Further, the hospital obtained a ruling that Charlie should be taken off life support, an imposition to which the parents eventually agreed after the US doctor said that with the passage of time, he could no longer help. Well, it is happening again–except in this case the baby isn’t terminally ill but has been unconscious for a year. Moreover, as I wrote here previously, there isn’t even a diagnosis as to the cause. Ader Hey Children’s Hospital has applied to the High Court to switch off life support for a baby in a coma, the ECHO understands. Alfie Evans’s family said they were now in a “living nightmare” after the hospital said they had exhausted all options in trying to diagnose and treat his mystery brain condition. But a letter to them, seen by the ECHO, shows Alder Hey are opposing the move to an Italian children’s hospital – and are stepping up the battle over Alfie’s life by taking the matter to court. Let us focus on the wrongness of this. The hospital, in essence, wants a court to declare that dying now is better than being severely cognitively disabled for an indeterminate period. By resisting the transfer, the hospital administration and doctors are essentially declaring that they do not want the child to have any chance of surviving. The UK’s laws are different than here in the USA. The technocracy there has greater power, and parents have fewer rights over their children. In fact, I think power is what this and the Charlie Gard case are ultimately all about. Otherwise, why not allow the parents to try other potential avenues of care? Why not give Alfie a shot? The fact that refusal of transfer would probably not happen here, should not make us complacent. We have our own medical technocrats who want greater power over patient care or withdrawal thereof. P.S. Alfie’s parents have established “Alfie’s Army” Facebook Page for those who may be interested. I am shocked by the media promotion of Philip Nitschke's new suicide device. Nitschke is being compared to prominent persons and his suicide device is being promoted as an easy and painless death. A previous death device was sold by Nitschke through a fake beer brewing company. Nitschke lost his medical license in Australia for providing suicide instructions to people with mental health issues and to a man who was suspected in the death of his wife. 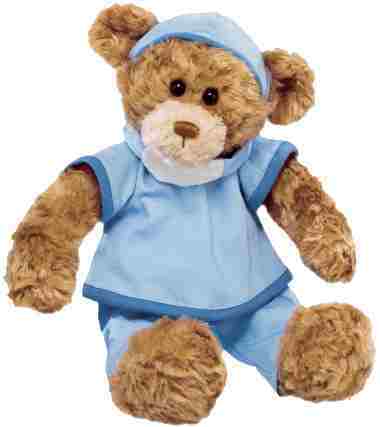 Nitschke has been a world-wide euthanasia promoter for many years and is connected to pro-suicide counseling service that included a youth suicide counseling component where he encouraged young people to contact him with the image of a teddy bear known as "Dr Ted." It is one issue that Nitschke is so cavalier about providing pro-suicide counseling and advice; it is another issue that the media are promoting his suicide device and ideology. Most of the media reports have broken all of these guidelines in their report about Nitschke's death machine. This is a terrible development (particularly for our psychiatric patients). I share the concerns of my Psychiatrist friend and I recognize that many suicidal people are not receiving the psychiatric or social support that they need and may feel compelled to contact Nitschke. Nitschke is a disturbingly dangerous man. Australian Medical Association expels Nitschke. Australia's Dr Death is being investigated in 20 deaths. 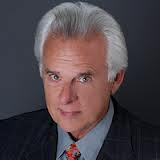 Steven Clute, a former member of the California Assembly, was charged with assisting the suicide of his wife, Pamela Clute. Pamela Clute died from a gun shot wound on August 21, 2016 at their home. Her husband stated that the suicide was related to her severe pain. The Clute assisted suicide trial may test the limits of the California assisted suicide law. The Associated Press article stated that Steve Clute was not present at the time of his wife's death. Even if this is true, according to the law, it doesn't matter. 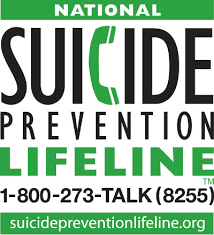 The California Penal Code 401 - Aiding, Advising or Encouraging a Suicide states that it is a crime to: advise or encourage someone to commit suicide. There were no independent witnesses at the time of the death. 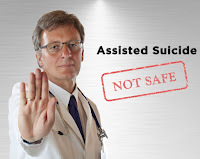 Assisted suicide: Definition of "self-administer"? Victoria Australia's deceptively named Voluntary Assisted Dying Bill uses the term, "self-administer," at least 30 times. Indeed, self-administration of the lethal dose was a major selling point of the bill, to convince the public and Parliament that patients would be in control. Washington's law, § 70.245.010(12), states in its entirety: "Self-administer" means a qualified patient's act of ingesting medication to end his or her life in a humane and dignified manner. This article was published on the Choice is an Illusion Australia website on December 4, 2017.